The museum is located in a three story building in the main shopping street in the center of the town. It certainly is an interesting museum. I have visited twice over the years. 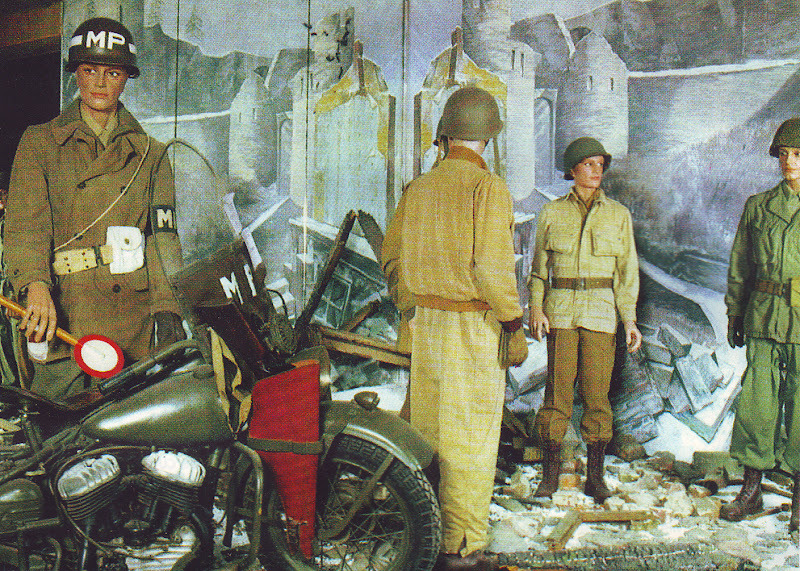 In the museum you can find over 100 models dressed in wartime uniforms of both the Germans and the Allied armies. For an militaria collector like myself that is of course a must. Apart from the great number of uniforms the museum had several well designed dioramas. 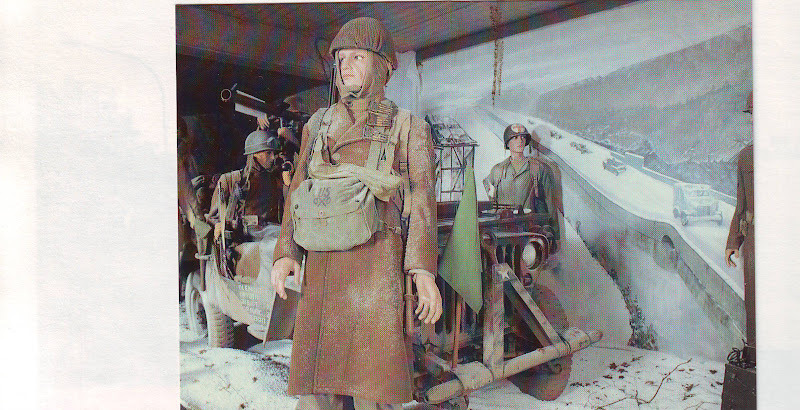 both life size als well as some great scale models. 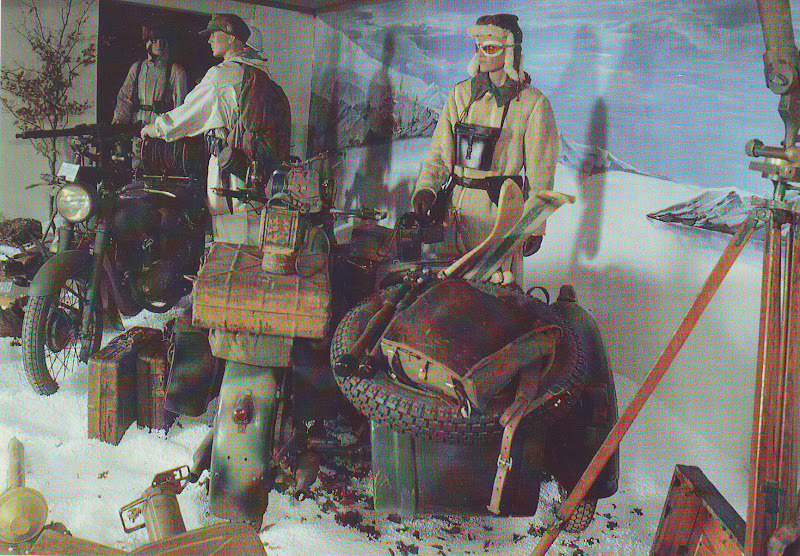 The museum offers a good insight in the events that happened in and around the town during the battel of the bulge. 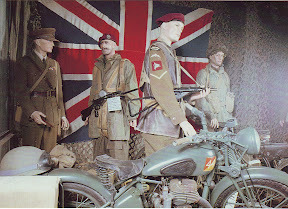 The front of the museum with in the window on the right the linkup of the British and American troops in January 1945 as depicted by the moment in the city. 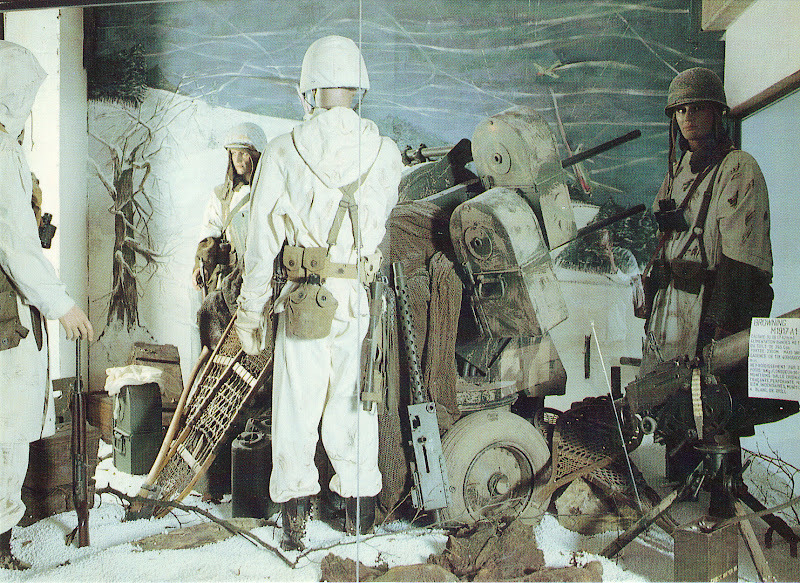 American soldiers in one of the diorama's inside the museum. American soldiers in winter camouflage in one of the diorama's inside the museum. 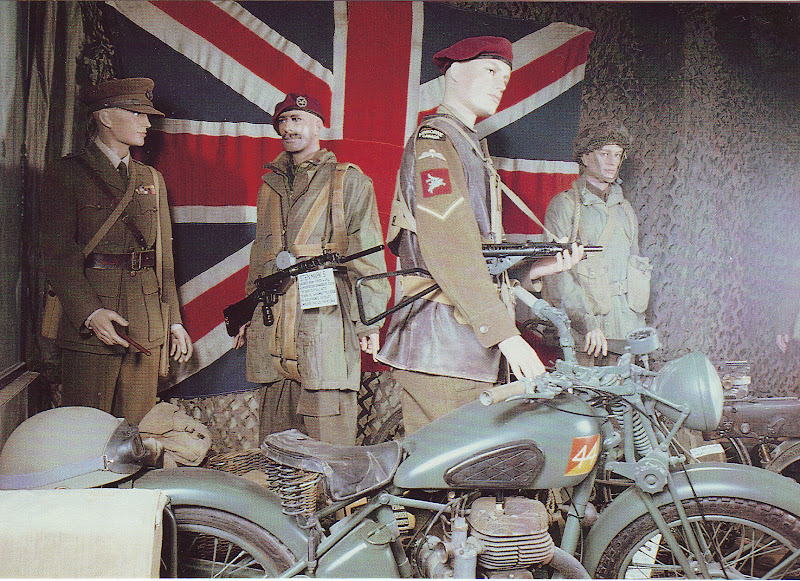 British soldiers in one of the diorama's inside the museum. German soldiers in winter camouflage in one of the diorama's inside the museum. The opening days and hours indicated on this website may be outdated. Always check with the museums yourself before you plan a visit.